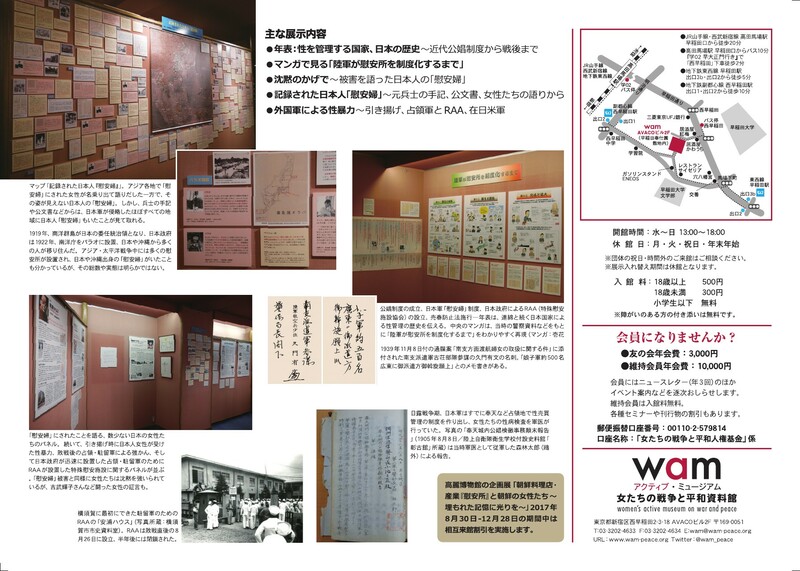 Japanese nationals were made into ‘comfort women’ along with other women in Asia —this much is well known. The presence of Japanese ‘comfort women’ is established in written records such as public documents and soldiers’ memoirs. 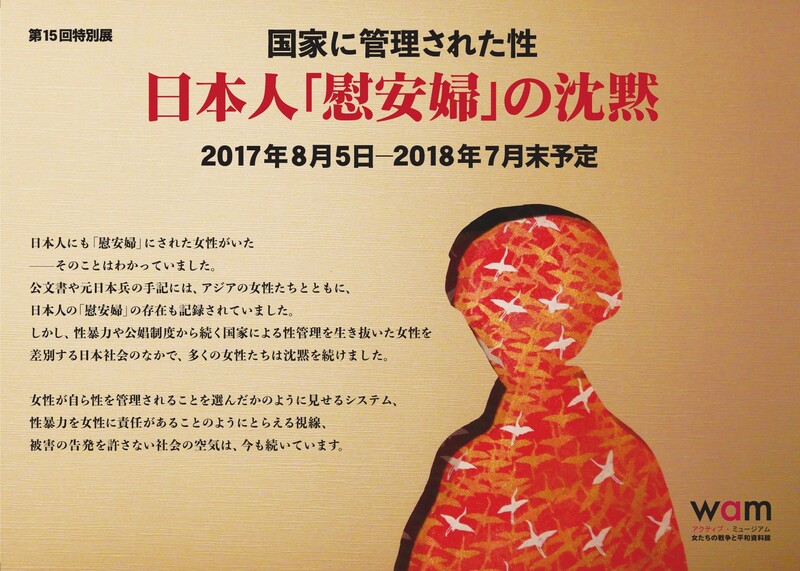 Yet many Japanese women have remained silent within Japanese society, which discriminates against women whose sexuality was controlled by the state for much of their lives through an on-going system rooted in sexual violence and state-regulated prostitution. Even now, a similar state of affairs prevails through a system under which women are made to appear as if they themselves choose to have their sexuality controlled, a gaze through which women are made somehow responsible for sexual violence, and a tacit social agreement by which women who dare speak out against the violence done to them are not tolerated.